Who’s on the ground in Leschenault? The Leschenault Catchment Council (LCC) was formed in 2000, through the amalgamation of two community-led NRM groups – the Leschenault Inlet Management Authority and the Leschenault Catchment Coordinating Group. To see more of what is happening locally by LCC check out their website. The City of Bunbury currently has three environmental staff and manages a number of important and diverse local reserves including lands within the proposed Ocean to Preston River Regional Park which includes the coastal dunes at Maidens, Hay Park bushland and Manea Park. They also run the Habitat Bunbury initiative that provides funding to assist local school groups to undertake environmental projects. More about what they get up to in the City can be found on their website. If you are interested in joining a local Friends of Group in the Bunbury area, check out the City of Bunbury Conservation Network info here. The Shire of Harvey is involved in a variety of projects, strategies and initiatives to care for our natural environment. More about these initiatives and a draft of their Local Biodiversity Strategy can be found on their website. The Shire is actively involved in several regional initiatives that are aimed at conservation, biodiversity and protect critical environmental assets, flora and fauna. The Shire of Dardanup is an active member of the Leschenault Catchment Biosecurity Group which is focused on managing problematic weeds and pests. The Shire of Dardanup currently has a Local Biodiversity policy and a discussion paper on the Shire’s proposed Local Biodiversity Strategy available to read on their website. 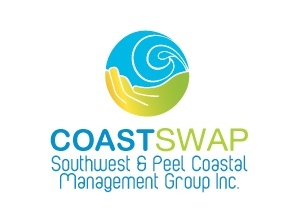 CoastSWaP was formed in 1990 to assist coastal managers, particularly local governments to share information and provide solutions on how best to deal with common coastal management problems throughout the South West. More can be found about the group on their website.